This unique fifth wheel provides convenience and luxury with lots of space to move around thanks to the four slide outs. 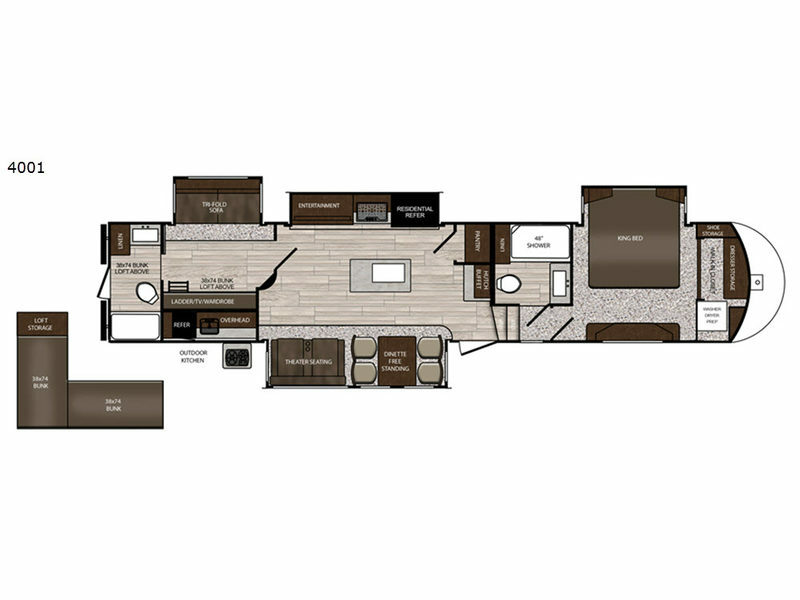 Inside this Sanibel fifth wheel model 4001 you will enjoy the convenience of having access to TWO full bathrooms. There is a heated bathroom with a 48" shower with "Stor Mor" shower caddy beside the front master bedroom, and a rear bath with the second entry into the unit. When it's time to cook you have the choice of using the inside kitchen with a center island including a stainless steel sink with extra deep bowl, and a residential refrigerator or you can choose to cook outside on the outdoor kitchen. There is a second room with a tri-fold sofa and a loft above with two bunk style beds and storage for the kids or friends. 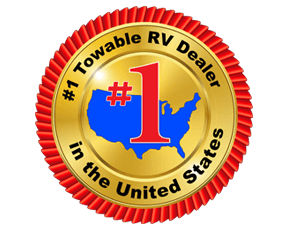 You will also find residential style seating, a king size I-Rest mattress, and a washer/dryer prepped space, plus much more!